Steve’s hometown is Duluth, MN, and his educational background is in biology and chemistry. Having an interest in the sciences was a natural progression to being interested in and understnding the beer making process. He started home brewing in 1988 when a friend gave him a homebrew kit as a gift, and soon after he joined the local homebrew club. During the summer of 1991, he took a 13-week apprenticeship at the Catamount Brewing Co. (White River Junction, VT), and this was an awakening, where beer and brewing became an obsession for him. He has brewed all grain beers ever since. Soon after, Steve was given the opportunity (or just luck) to be a guest brewer at Sherlock’s Home Brewery in Minnetonka, MN, and The Orange Brewery in London, UK. Most recently he had the chance to brew at The Egan Brewing Co. in De Pere, WI, as part of winning Best of Show at the Titletown Open. Like many others, Steve would like to take his experiences further and develop a commercial brewpub. However, he’s in no hurry; as a good friend in the industry told him, "You don’t have to be first, only best!" 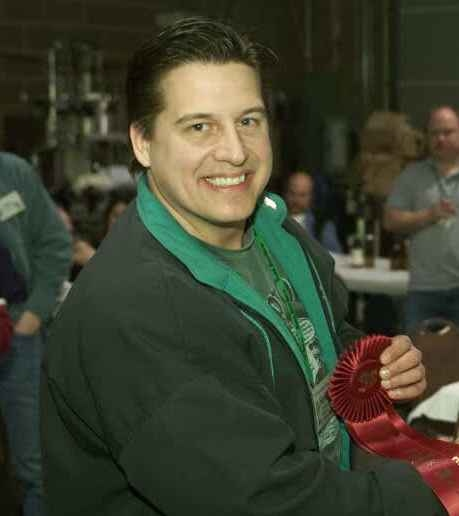 Steve "discovered" the MWHBOY competition after entering the Drunk Monk Challenge in 1999, he realized what a great way this would be to brew different styles of beer and get good critical feedback. At the time Steve specialized in British ales and "big" beers such as Barley wine and Imperial stout. During this competition, he brewed American Amber ale, Hefeweizen, Weizenbock, Wit bier, Alt bier, Wee Heavy and others for the first time. "The feedback was excellent and extremely useful. This competition is a great way to expand your knowledge and skills and, is most importantly, a lot of fun. We had a very close competition, and I believe we pushed each other to do more." Take the time and care when researching new styles and don’t be afraid to ask for help. Support from friends and family. I’m very lucky to have great family members and friends who love beer and brewing and have been an invaluable help in my success." Steve is currently in new product development at the research center for the world’s largest tissue and towel company.